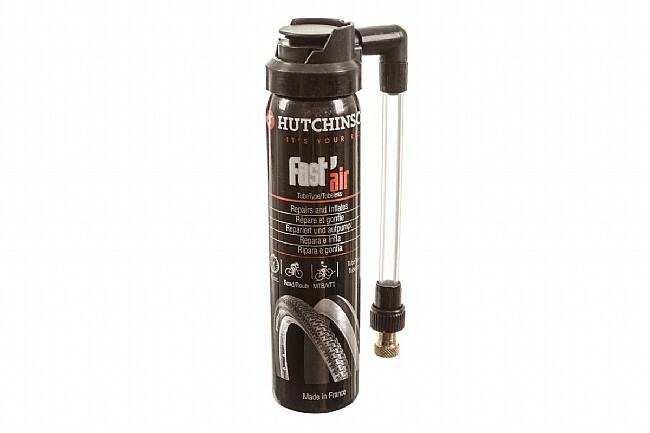 The Fast’Air Tire Sealant/Inflator from Hutchinson is a flat fixing system in a C02 canister. When secured to the valve, the canister delivers pressurized air that’s infused with a silicone based sealant that plugs up punctures while the tire inflates. Hutchinson claims Fast’Air will fix punctures up to 1mm in 90 seconds so flats don’t have to be the time-consuming mood killer they once were. Compatible with clincher and tubeless setups. Easy to carry,much lighter than a pump. Carry this sealantinflator when out wearing tubulars. Saves a ton of worries.